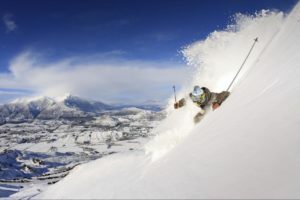 Located 75 minutes drive away by bus, Cardrona is a fun, family-friendly ski resort. 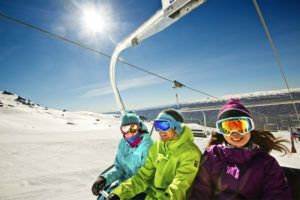 A good balance of beginner, intermediate and advanced runs spread over 345 hectares of skiable terrain means Cardrona – known as “Cardies” to locals – is ideal for all levels of ability. Wide, uncrowded slopes make it the perfect place to learn to ski or snowboard. Its natural features combined with a large selection of terrain park features make Cardrona one big playground. In fact, the terrain park here is second only to Snow Park’s when it comes to size and range! Wind down after hitting the slopes in one of five cafés and restaurants, including a noodle bar and pizza café. Travel time from Queenstown (by bus): 75 minutes approx. Highlights: Captains Basin for incredible natural terrain and delicious pizza at the Captains Café. The 800m Gravity Cross track, great for racing your mates! 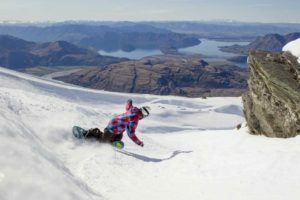 Cardrona is also home to some of the best park features in the Southern Hemisphere, from tiny boxes to 8-metre jumps. 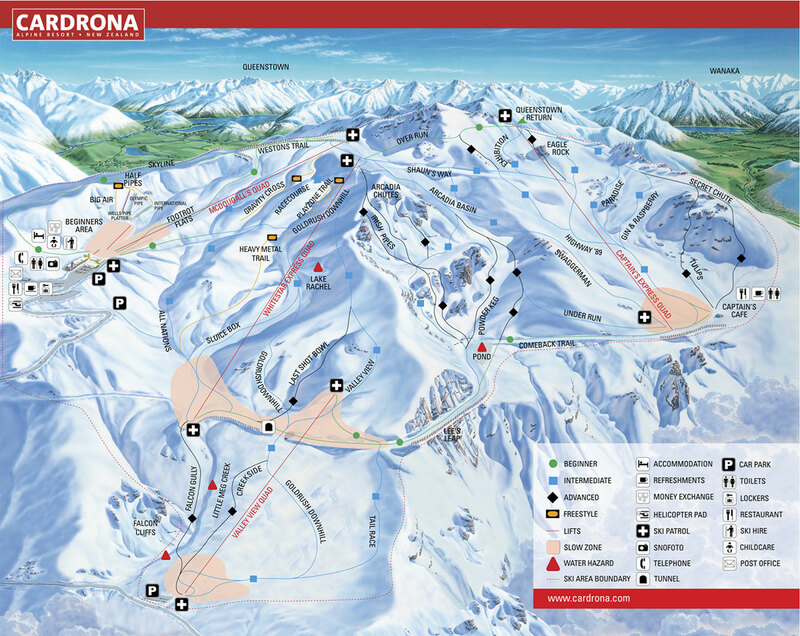 Check out all the ski packages in Cardrona Ski Resort and bus timetable.